I know, guys. Y'all are pumpkined out already and it's not even Thanksgiving yet. 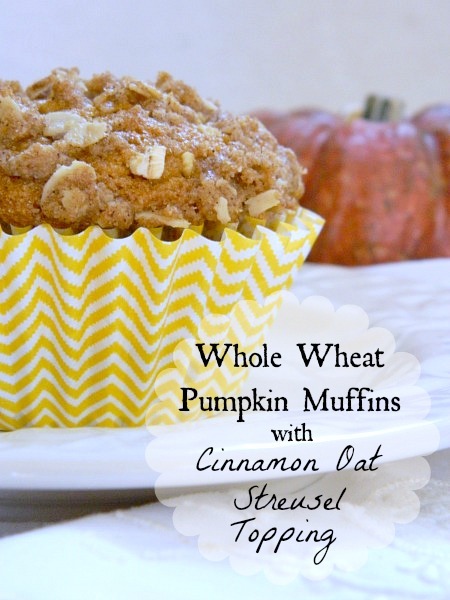 I don't think you will mind so much though once you try these whole wheat pumpkin muffins! The streusel topping makes them even more amazing! Today's recipe is a guest post over at Vintage, Paint, and more. Head on over there to read the rest of the post and get the recipe!